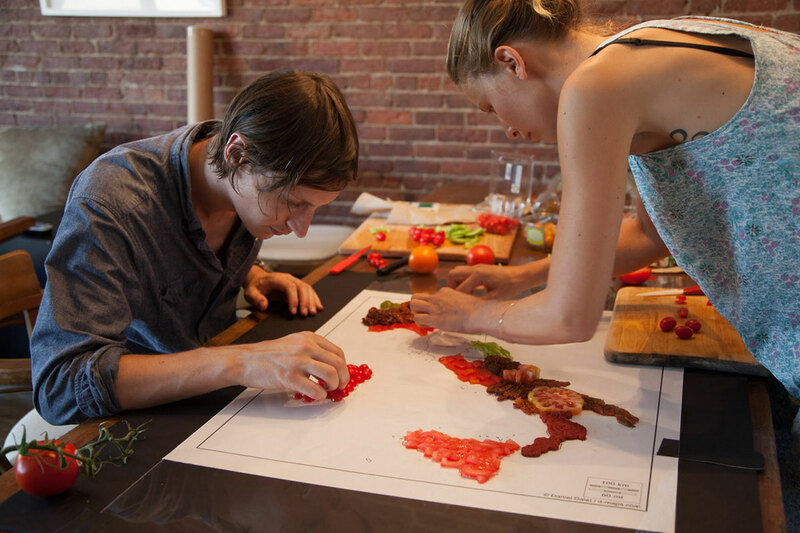 It’s no secret that we at Barbour are bunch of foodies of some degree or another, so we can’t resist food concepts that are really well executed. 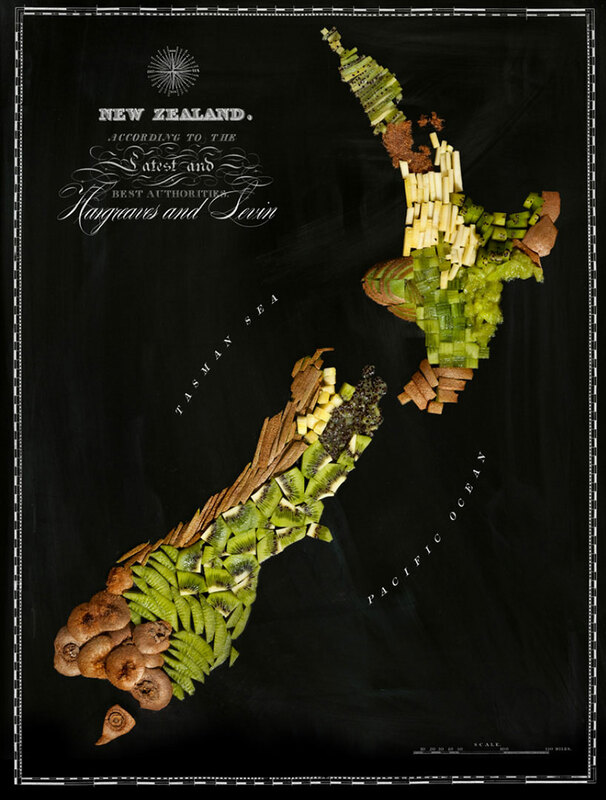 And this series, by New Zealand-born, Brooklyn-based photographer/artist Henry Hargreaves (see a previous post of his work here) is a perfect example. 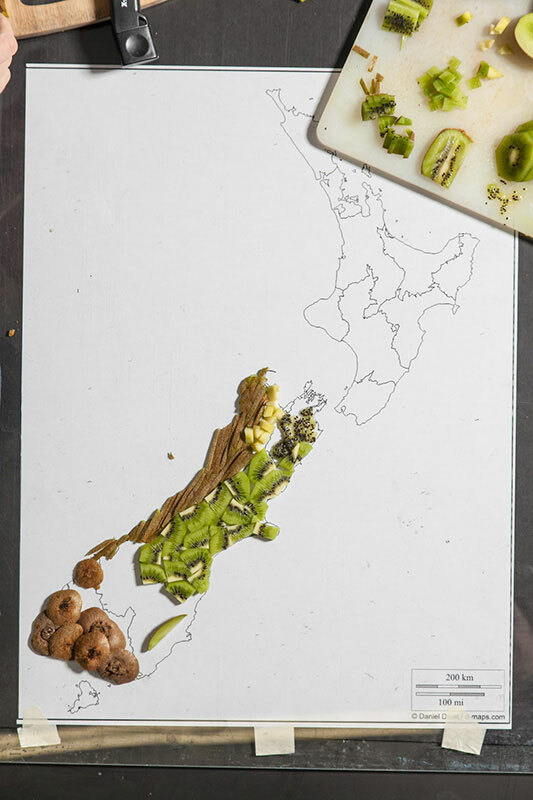 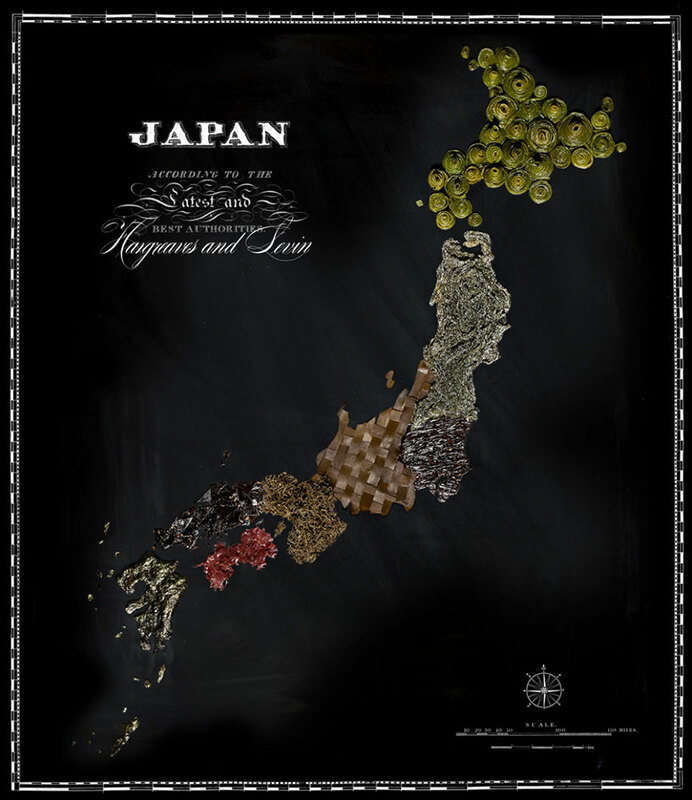 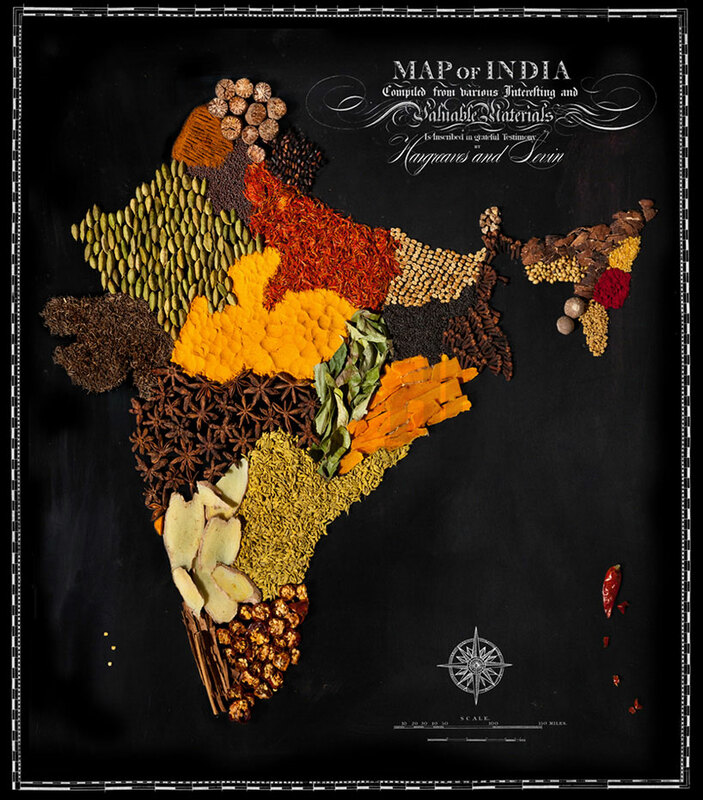 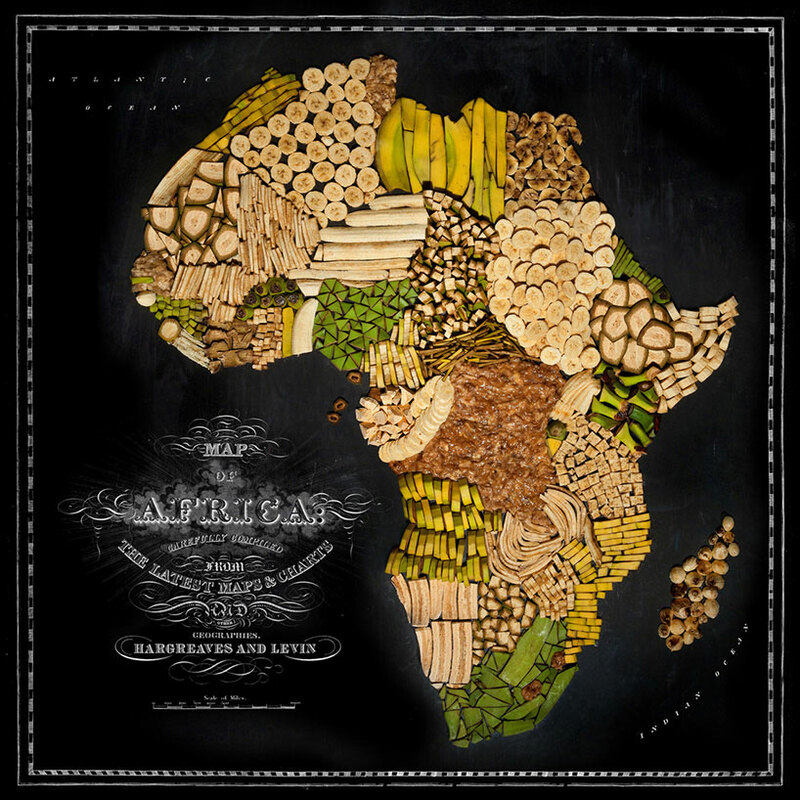 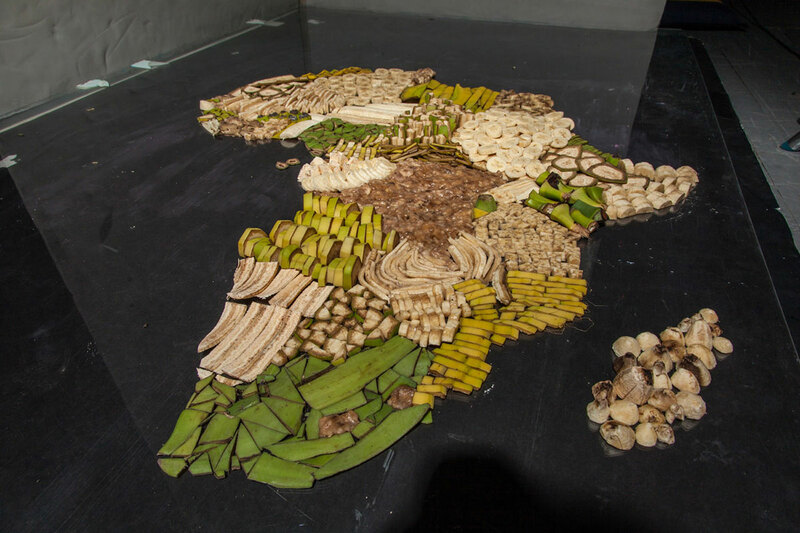 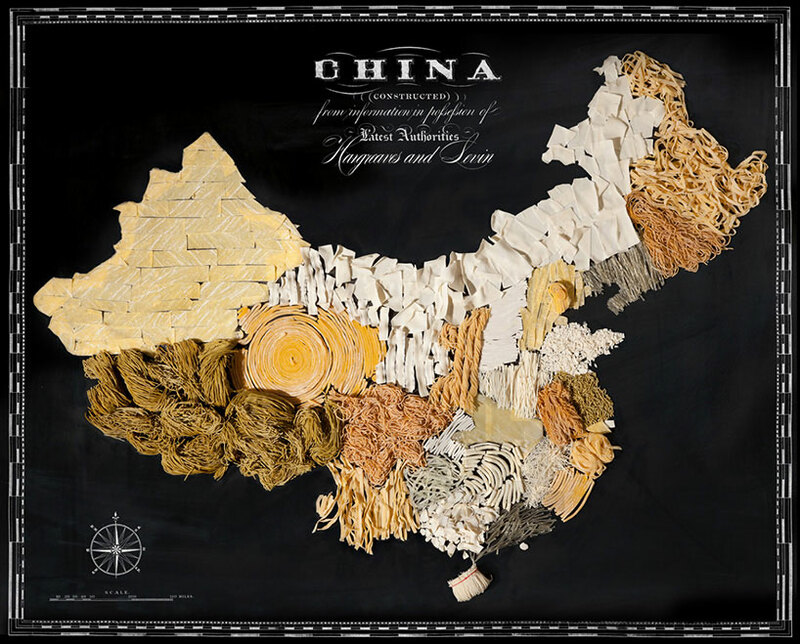 In his own words, Hargreaves explains: “In this series we have taken many of the iconic foods of countries and continents and turned them into physical maps. 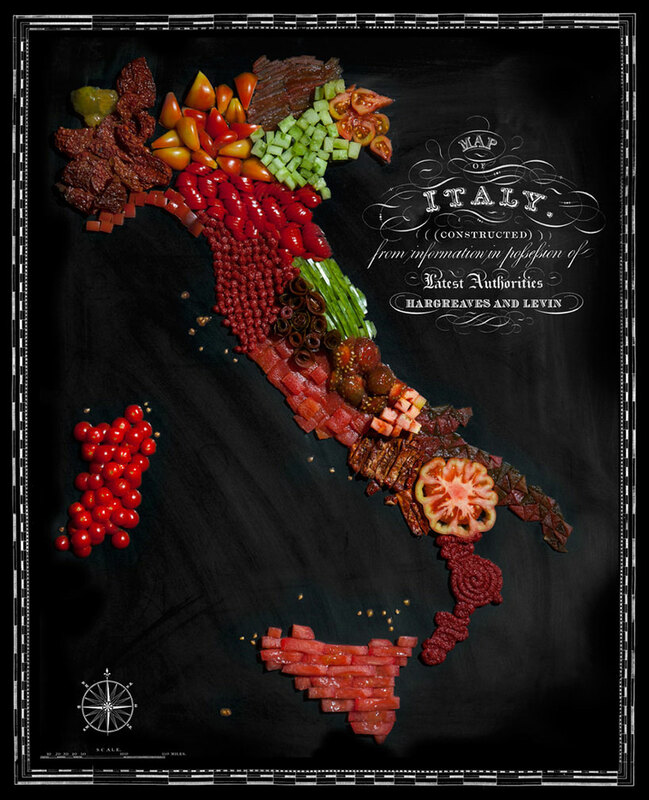 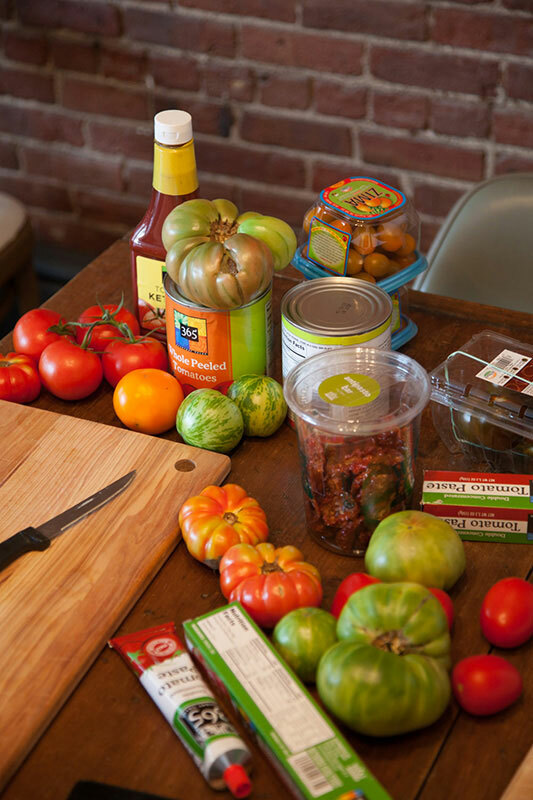 While we know that tomatoes originally came from the Andes in South America, Italy has become the tomato king. 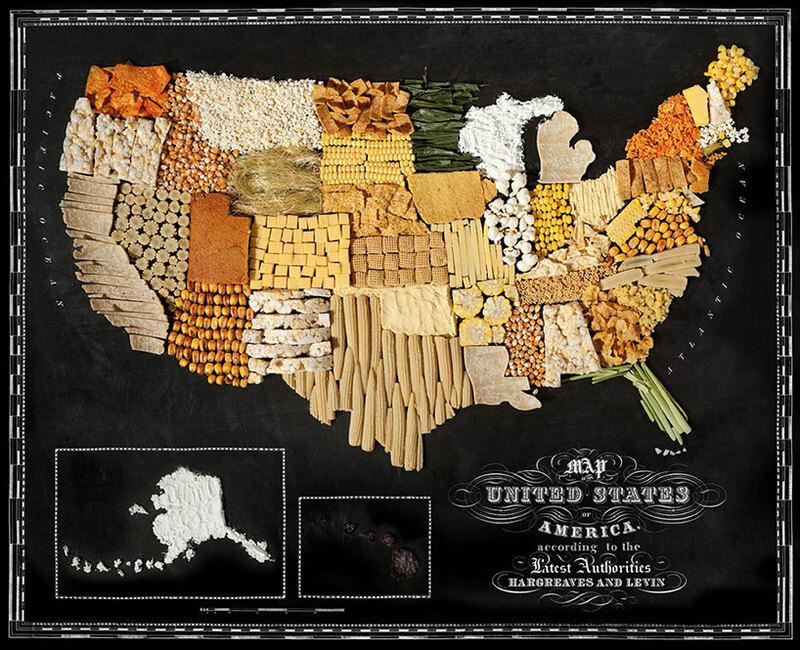 These maps show how food has traveled the globe—transforming and becoming a part of the cultural identity of that place. 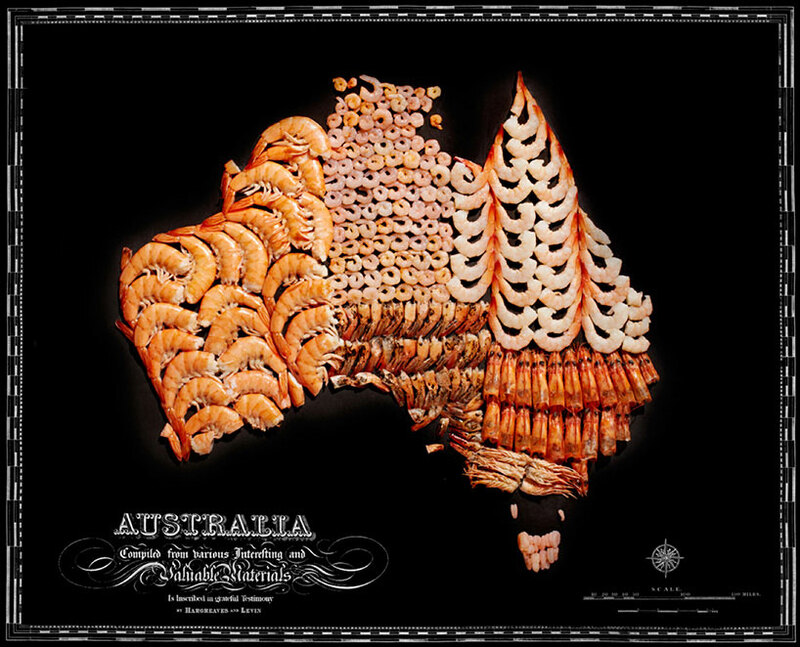 Who doesn’t know the saying “throw some shrimp on the barbie” and not think of Australia? 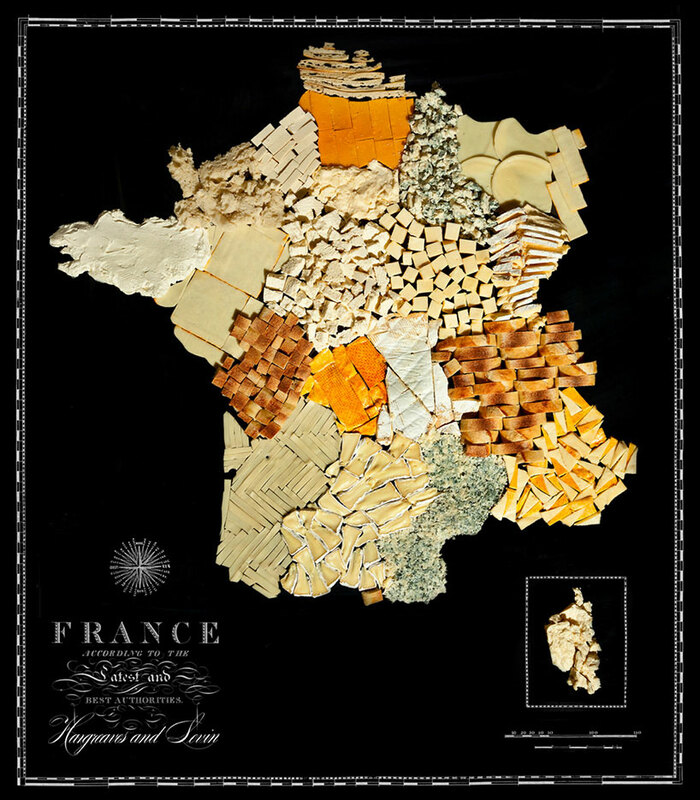 Who goes to France without eating bread and cheese? 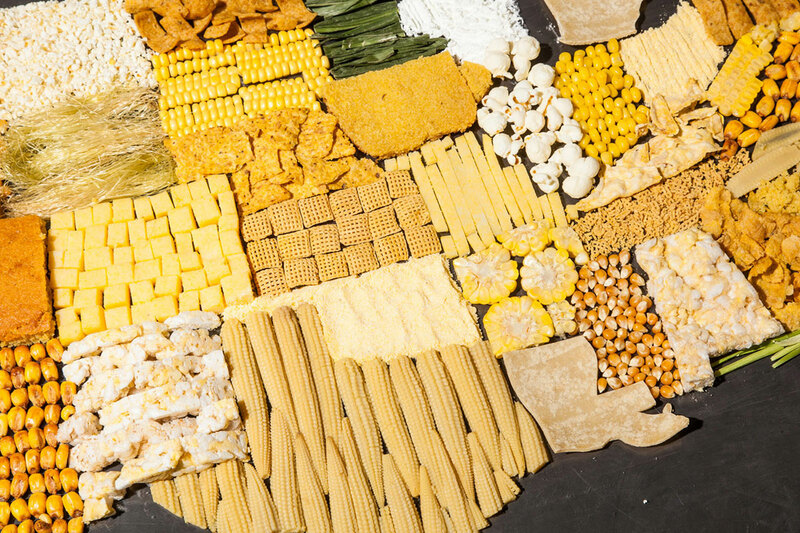 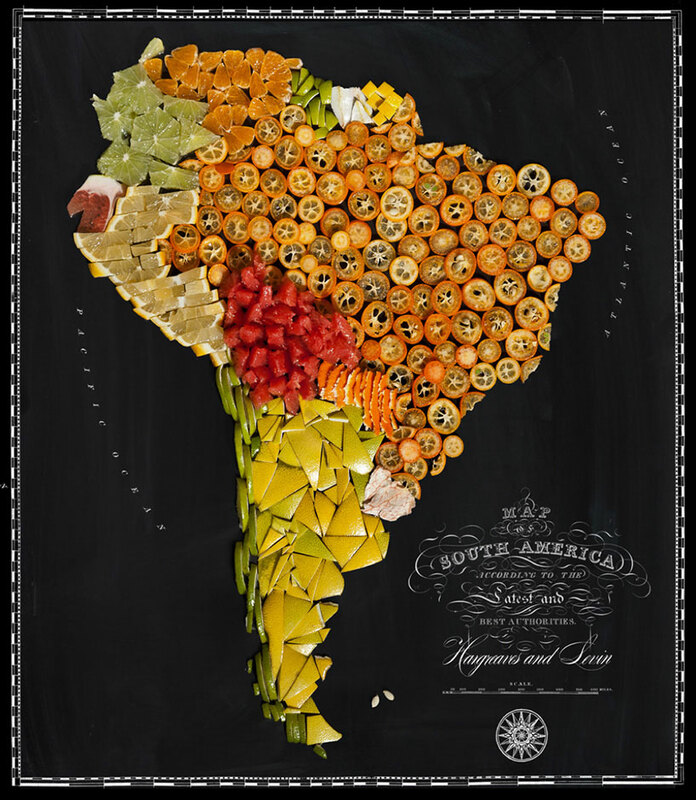 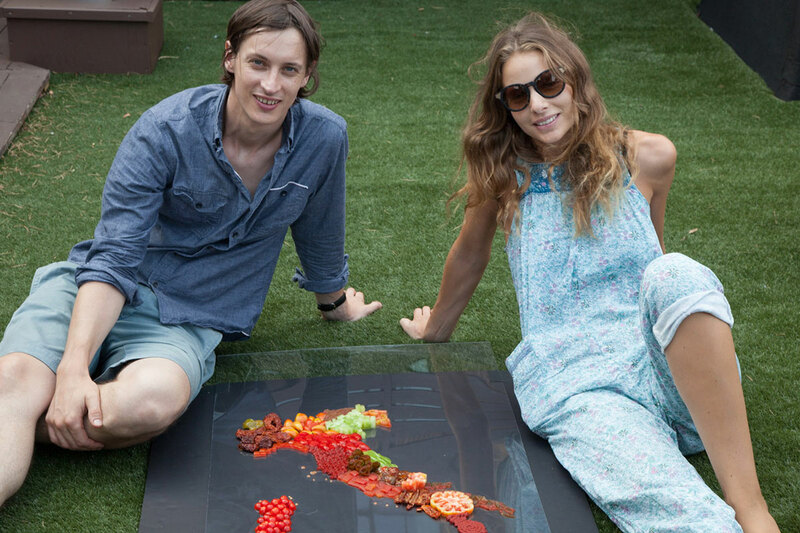 And who makes a Brazilian caipirinha without a fistful of limes?” Hargreaves collaborated with food stylist Caitlin Levin and graphic designer Sarit Melmed to painstakingly create maps made out of foods that embody each location. 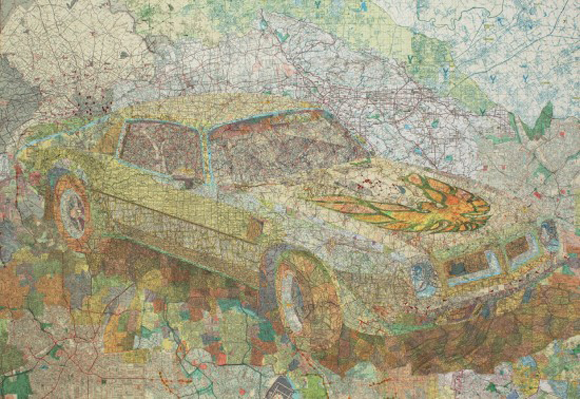 We love the various textures, colors and cultural references. 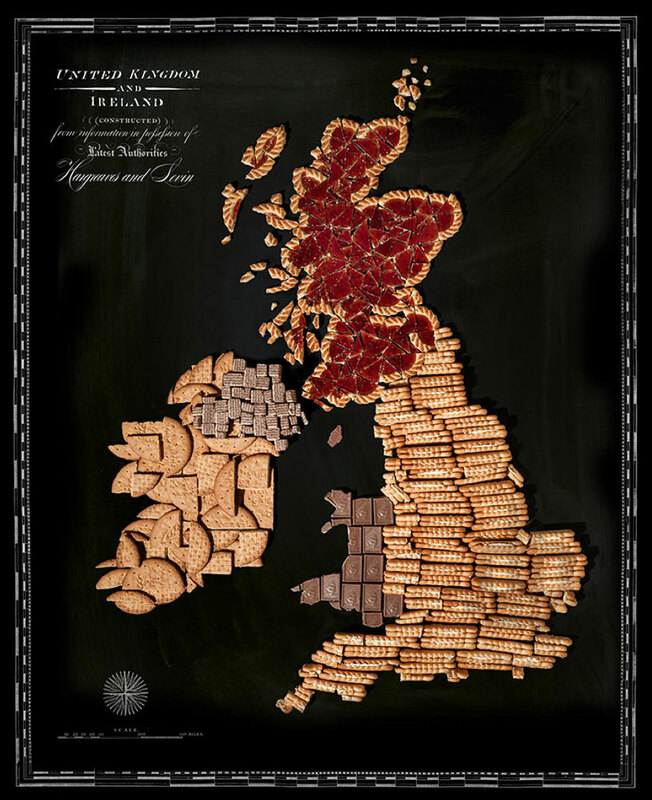 As well as the marriage of cartography, typography and gastronomy. 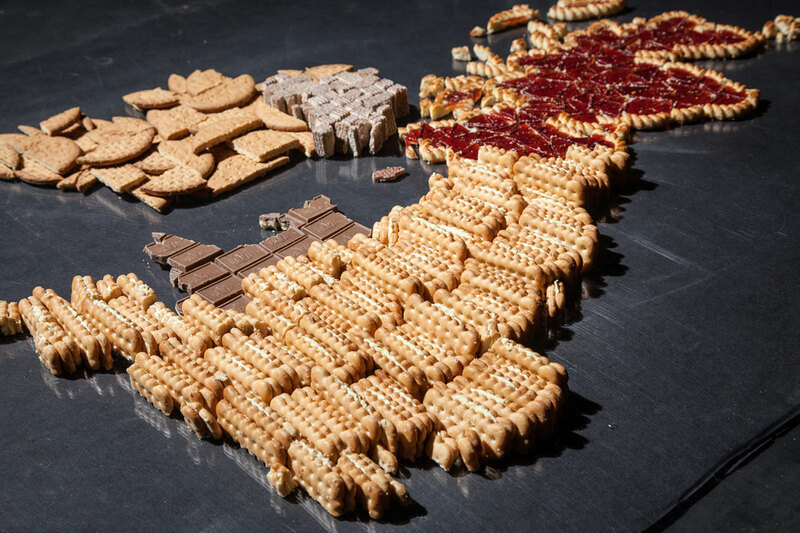 Outstanding on many levels! 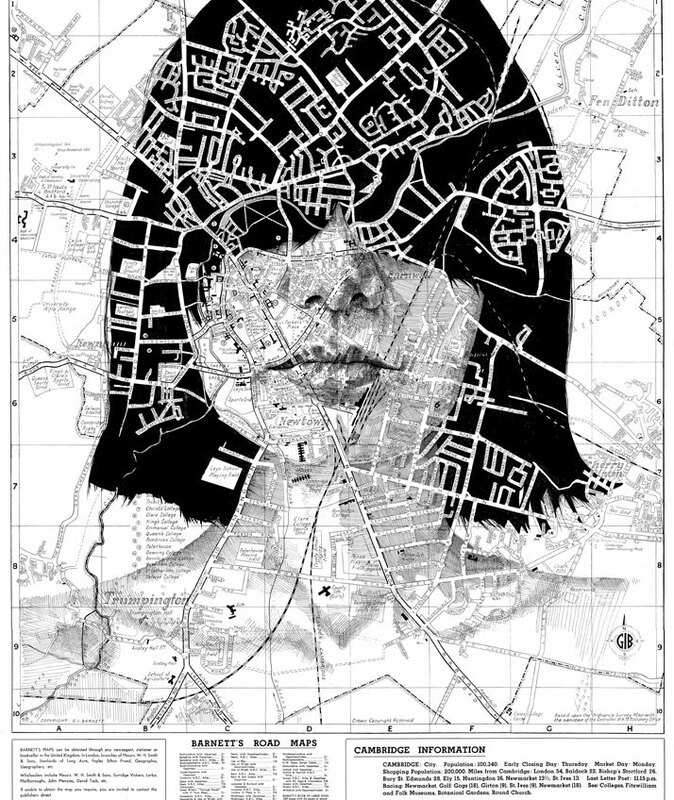 Prints available here. 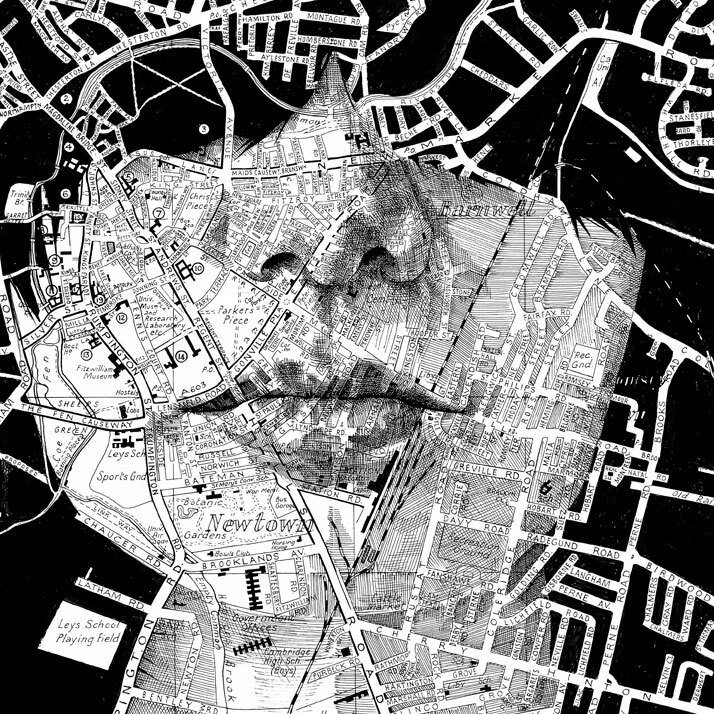 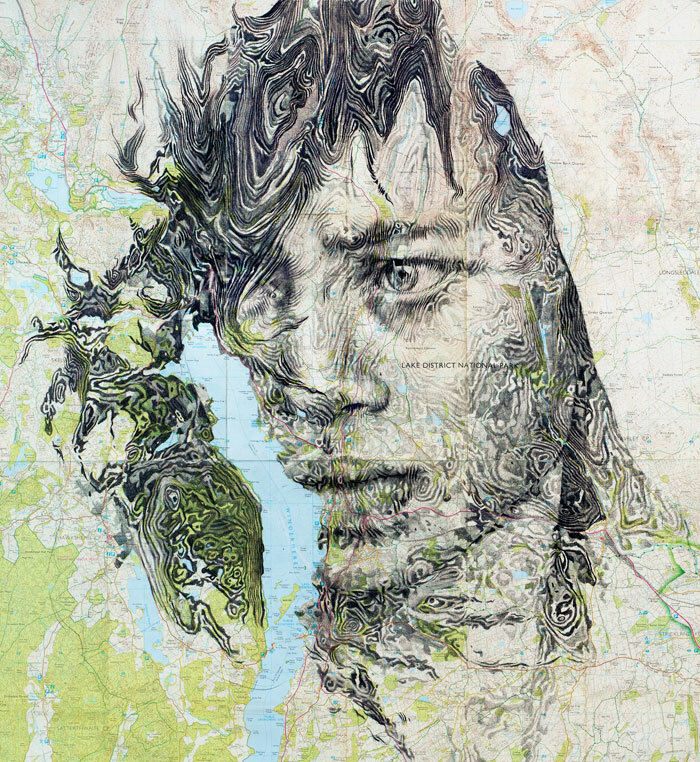 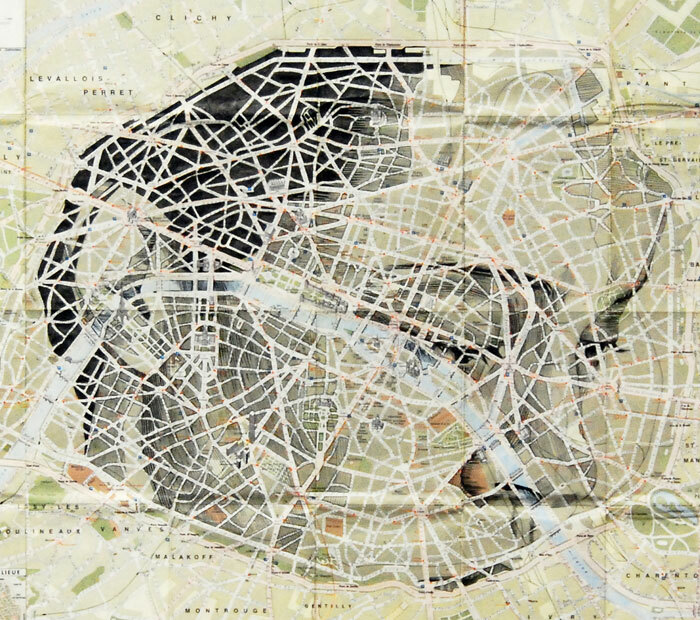 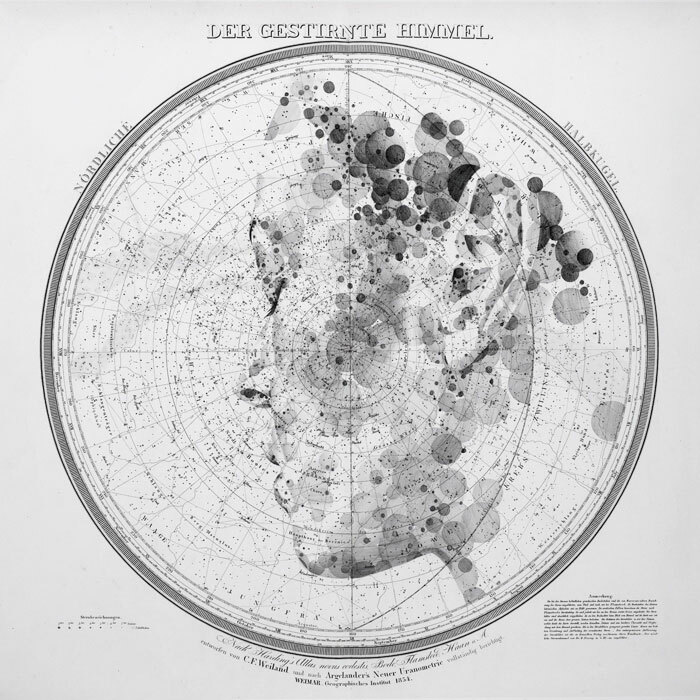 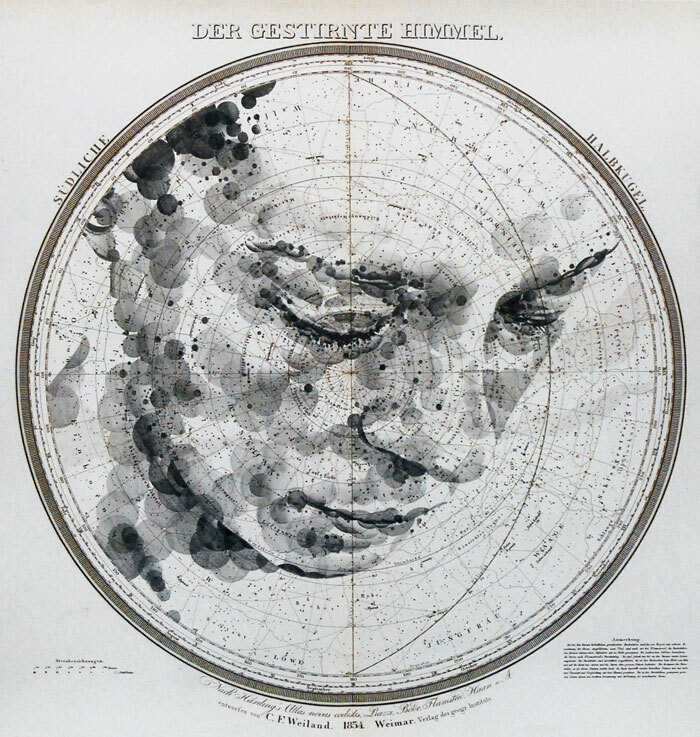 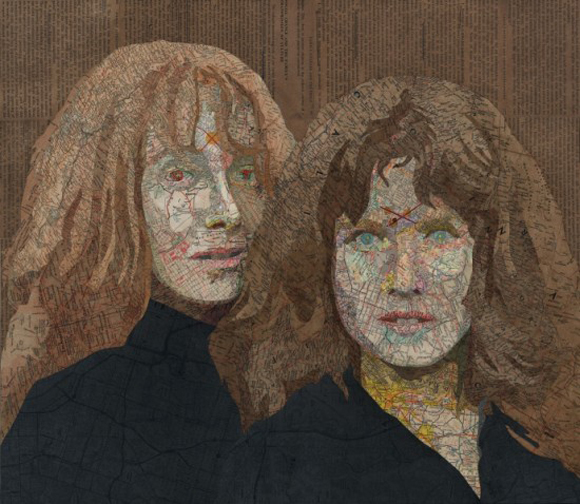 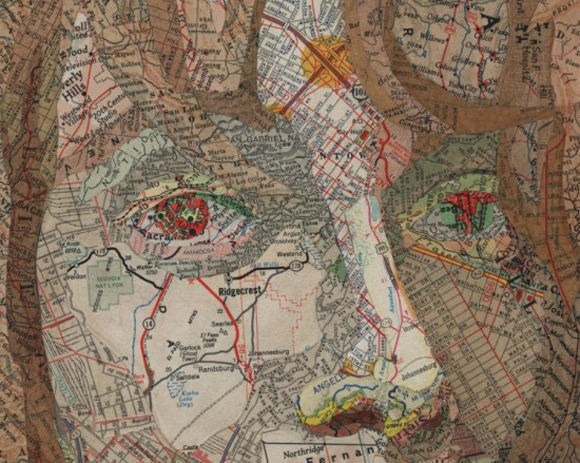 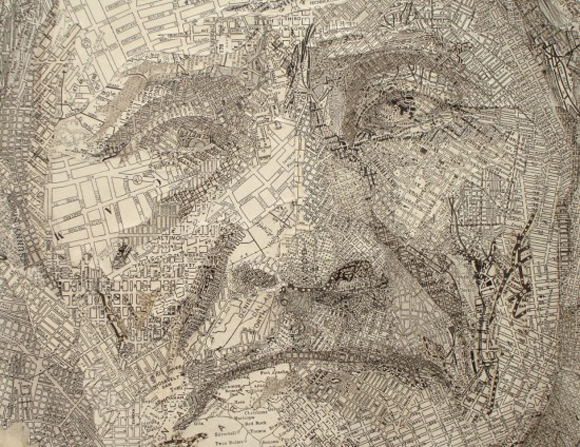 UK illustrator Ed Fairburn’s approach to portraiture is really something special. 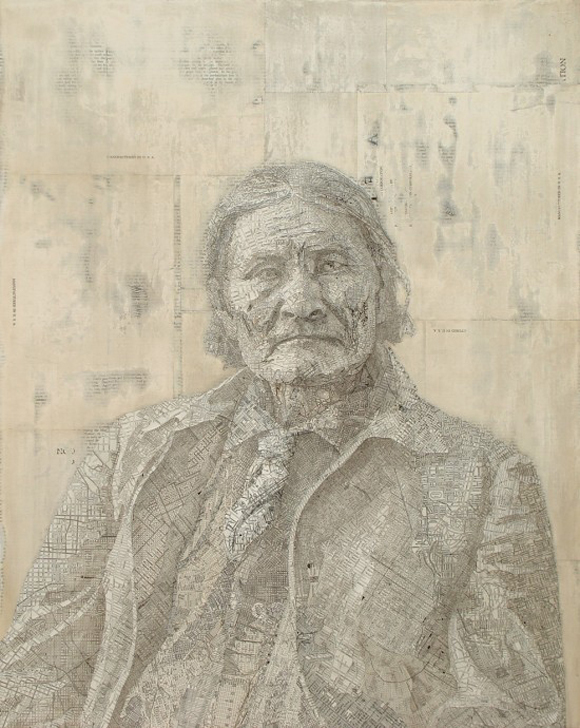 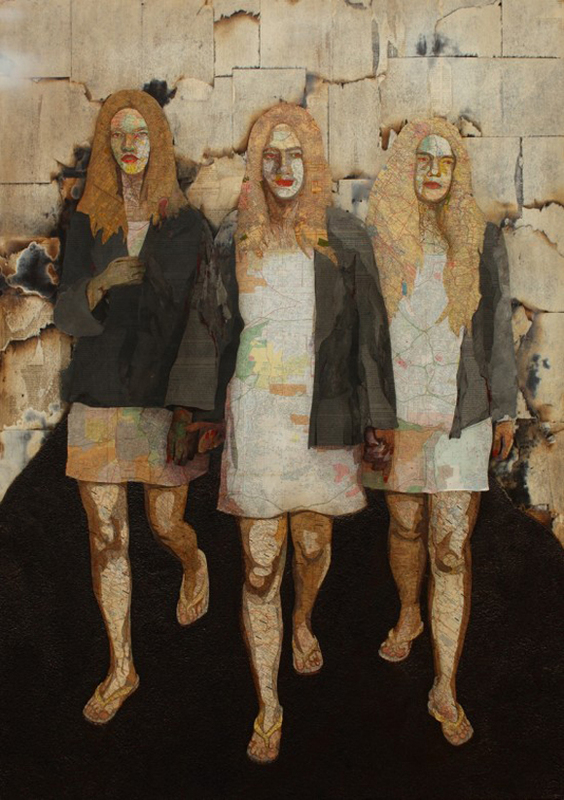 His mostly figurative work through painting and drawing is only accentuated through his keen eye for patterns. 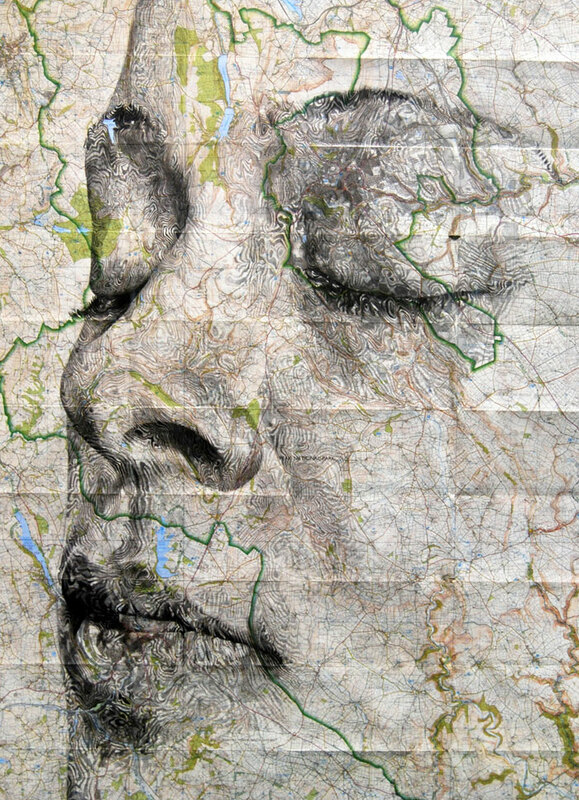 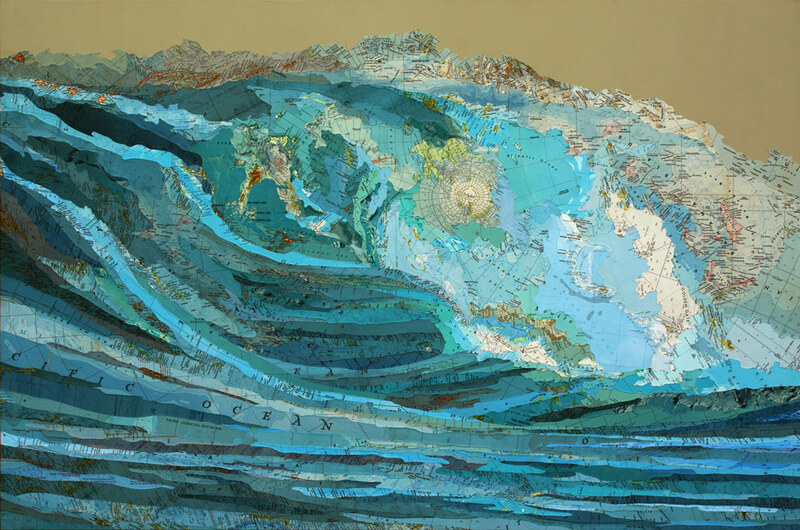 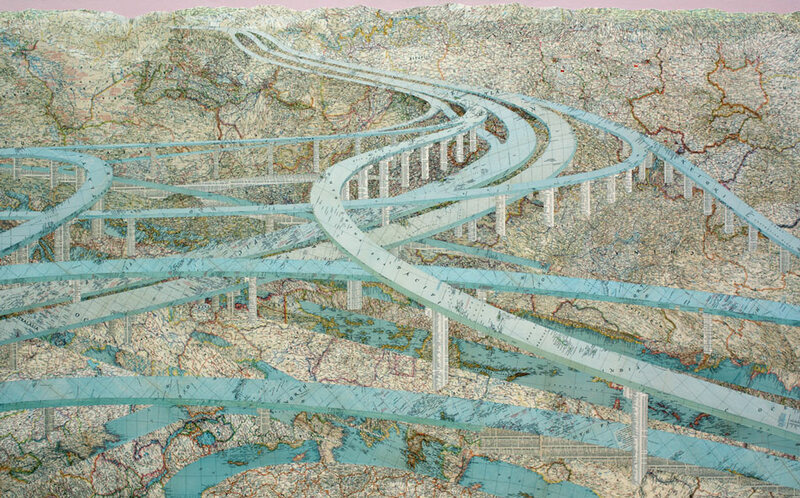 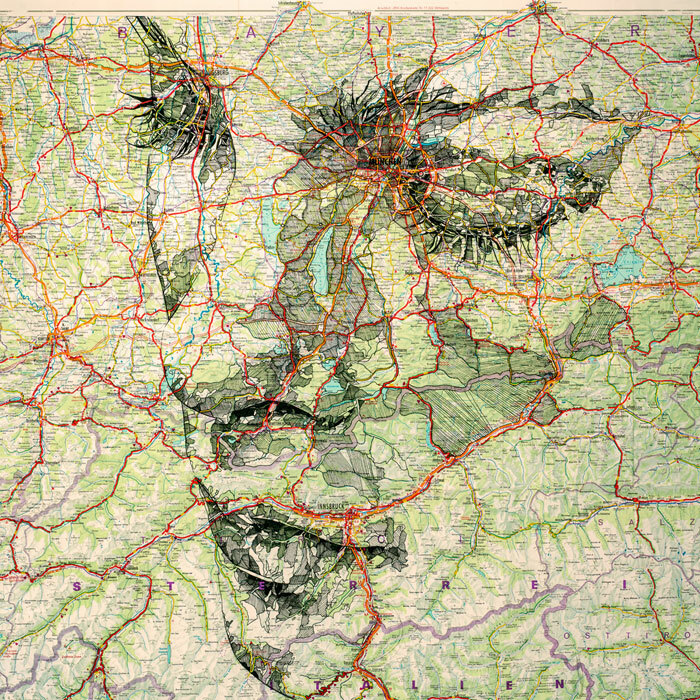 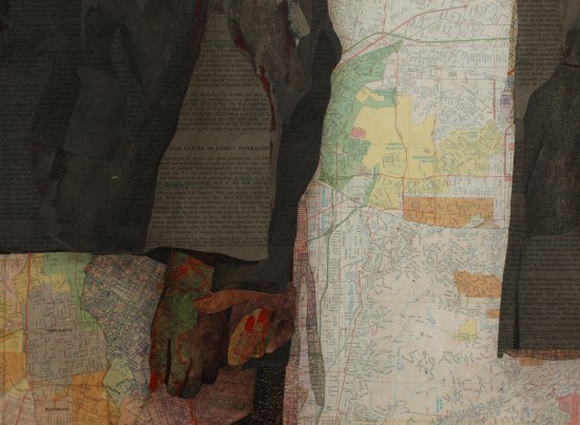 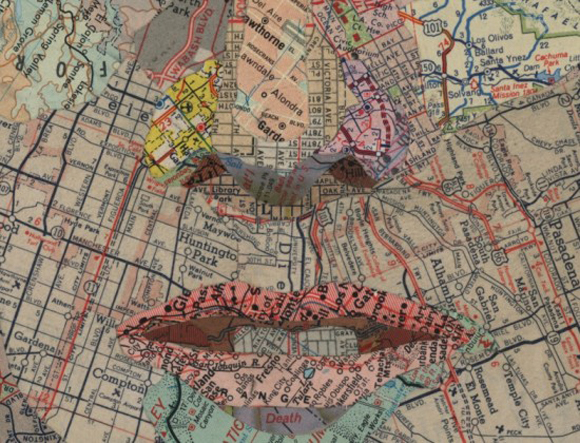 His ongoing series of map portraits are simply fantastic, using all sorts of maps as a basis for each piece. 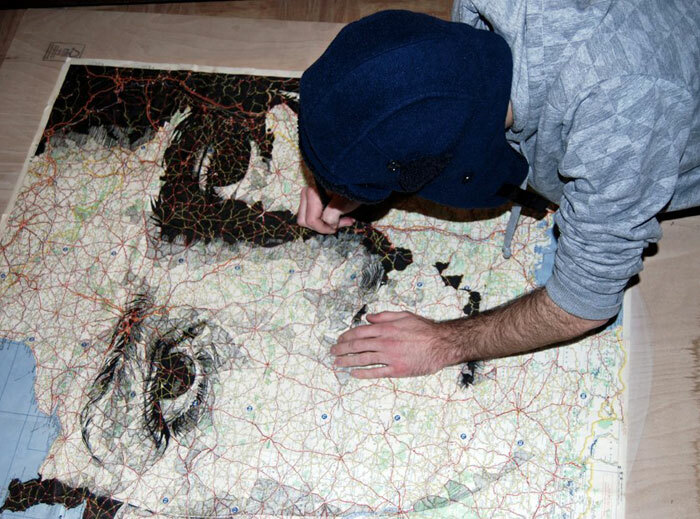 Fairburn explains, “I paint, draw and construct using a flexible range of tangible media across a wide range of surfaces and contexts, allowing my practice to exist across various disciplines. 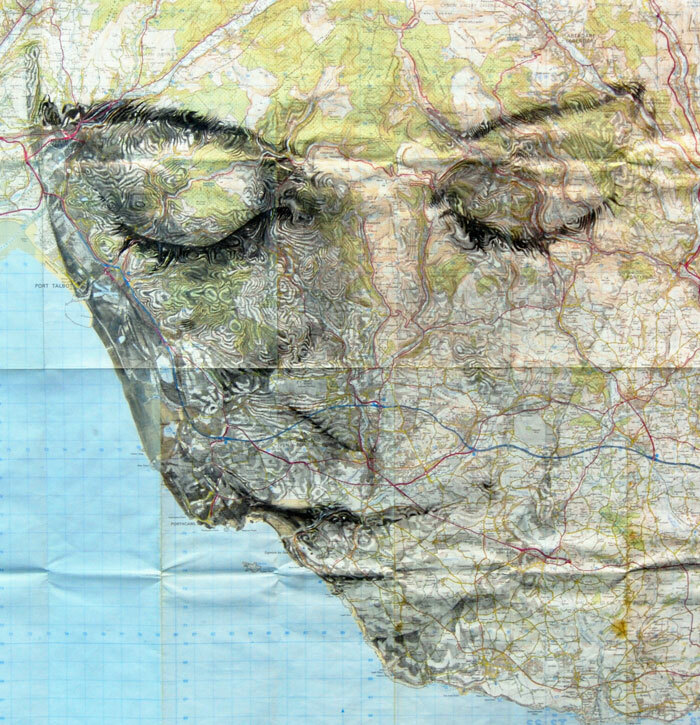 The work I produce is largely self-directed, allowing me to explore a wealth of ideas and concepts which need to be realised.” And what a wealth of taken he possesses.